Da Capo Lifelong Books, 9780738216416, 288pp. Sugar is the new controlled substance. The average American consumes up to 31 pounds of sugar a year, and a diet high in sugar can cause diabetes, obesity, and many other health crises. Our excess intake of sugar, from the white stuff on the table to the high-fructose corn syrup hidden in packaged foods, is not only making us sick, it's making us fat and aging our skin. 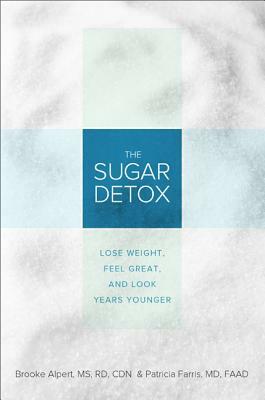 Now, nutritionist Brooke Alpert and dermatologist Patricia Farris team up in this revolutionary program that helps get the sugar out of your diet to recapture youthful skin and good health. Designed to limit the amount of extra blood sugar, slim your waistline, increase your energy levels, and improve your skin, this combined approach to nutrition and skin care will make you feel--and look--better than you ever have before. The secret? A three-day detox plan to get the sugar out of your system and get you on the path to eating and living the healthiest way possible.